5th month of 2011 was packed with mind altering titles. Ken Wilber briefly explained me “history of everything”, friend 2.0 Bruna Martinuzzi generously shed bright light on what does it mean to be leader as a Mensch. I have ‘spent’ life with Zen master Shunryu Suzuki and never the last – I was dragged into one boy’s story – child soldier’s story in west Africa. Curious to know more? Read on! You can judge from the picture above -> that number of sticker notes in this mind-boggling book is more than usual. Why is so? Well, this book was one of the best non-fiction I have read this year and Ken’s insights kept my mind restless. I must warn you, it is not an easy read and it requires your full conscious awareness and openeness. But I am so glad that after more than 2 years since purchasing A Brief History of Everything, I had guts to reach out to this book and read it. It is a must read for depth seekers! Allah Is Not Obliged is uniquely narrated story of a child soldier life in Africa. Firstly, my intention was to “use” this book as a “bumper read” between Ken Wilber’s book (as I was overwhelmed by its insights overflow), but it turn out to be a very intense and emotionally exhausting reading as well. It is hard to imagine that there are still plenty of child soldiers in this world (oh, how I wish, it was absolute fiction story)Would I recommend it for you to read it? Try it out, I suspect that language and voice of the hero will attract you, too. How did I come across this amazing book? It has a story behind -> want to know about it? Read on: Last year in November, I have been mentioned in the blog post on American Express Open Forum : Self-Efficacy: The First Requisite for Success -> I did not have a clue that Bruna Martinuzzi exists nor had I any clue that she knows about “no name” like me. Whoa, I was blown away. But, hold on, that is just a beginning of my relationship 2.0 with this remarkable lady, who is fluent in 6 languages, wrote a book, speaks and coaches world’s finest leaders. Few months back Bruna ‘hits’ me with ‘generosity slap’ on Guy Kawasaki‘s Facebook page Enchantment , again => see how at a picture bellow. I am still in awe from this honor -> being mentioned in one sentence with Sir Ken Robinson…Thank you, Bruna! But this is not the end, guys! Wooot? Still more? Yeap… In April, I have been knocked out by this email bellow. I “nailed” myself with a book, which I bookmarked thanks to Katie Byron’s book – Loving What Is, which I have read few years ago. 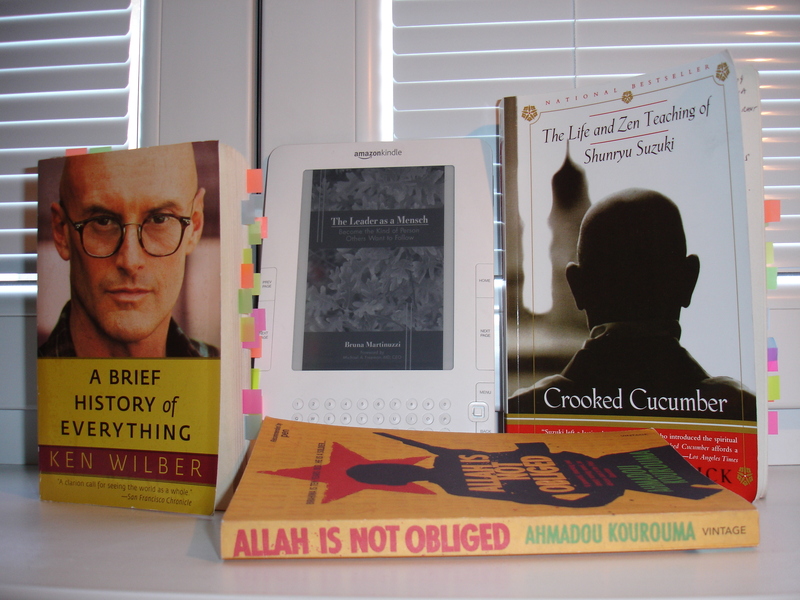 Same as with Ken Wilber, even Crooked Cucumber was resting on my bookshelf for many months, waiting for me to be “ready”. Was I? I don’t think so, I will ever be. However I still read this tough to digest & tougher to practice and live by -> biography and Zen Teaching of Shunryu Suzuki -> Zen master from Japan, who was first evangelist of Japanese Zen Buddhism in the west. I still have 50 pages or so to finish it, but I simply had to have a break as it was too overwhelming. Wonderful, wonderful introduction to a totally new way of living. Give it a try, too. 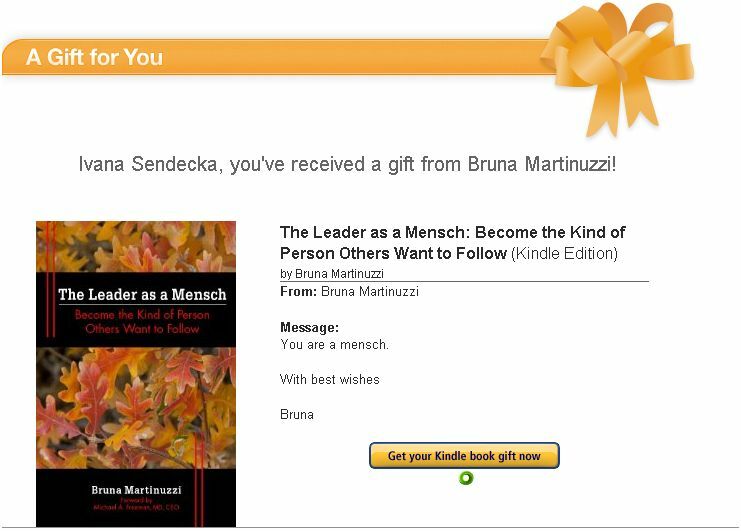 Quotes of the month column goes to Bruna’s -> Leader As a Mensch. Foundational qualities are humility, authenticity and empathy. Mensch’s humility is combined with fierce independence and inner strength. These are part of a Mensch’s roots. Buried deep, they are a source of perservance. A Mensch’s humility is all about maintaining pride about who he or she is, about achievements and worth – but without arrogance. The sign of gentleman is how he treats those who can be of absolutely no use to him. We cannot control how others feel about us, we can control how others feel about themselves when they interact with us. Empathy should not be selective. It should be daily habit. Sum up how a Mensch lives her life it would be: mastery and grace. It is reflected in a focused pursuit of a quality through mastery. Being a Mensch goes beyond the surface aspects of having a polished appearance to having a polished heart. Real generosity spirit is doing something for someone without their knowledge! 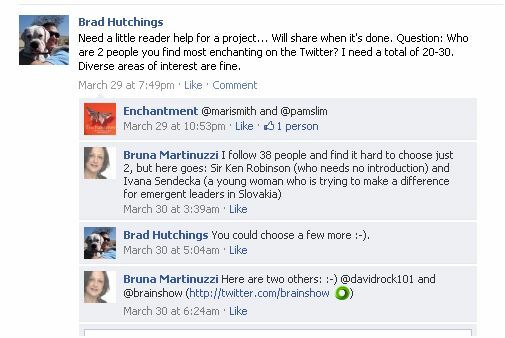 did you experience real generosity spirit -> like Bruna has demonstrated for me already 3 times? Have you delighted someone without other party’s knowledge? The real generosity question – just few weeks ago when leaving my previous job, my boss gave me 2 books of his own, which he valued a lot, but he wanted me to read them. It was really surprising for me. Ai, that is so sweet of your boss -> to give you books. If I may ask, which titles did he give you? Congrats. It sounds like you are making impact. I think new shipment is more about impact than this one -> check it out.